Gov. Pat Quinn on Monday proclaimed the day "Dennis Farina Day in Illinois" as family and friends turned out to say goodbye to the beloved Chicago police officer-turned-popular "Law & Order" actor. "For as much as my father-in-law was a wonderful actor and policeman, he was just a wonderful dad and father-in-law," said Joy Farina outside the Montclair-Lucania Funeral Home in Chicago, where Farina's wake was held. The film and TV actor died last week at the age of 69 after suffering a blood clot in his lung. Doctors said Farina had been under treatment for lung cancer for several months. Farina was known for portraying a variety of mobsters and cops in movies and TV shows, but before he went Hollywood, he was a Chicago Police officer from 1967 to 1985. For decades, CEO Joe Ahern was a close friend to former Chicago police officer turned actor Dennis Farina. He shares personal stories about their friendship and tells us how Farina personally helped the 100 Club of Chicago. There is also a big event this weekend for family members of fallen officers. "The thing that was at his core was that he was a Chicagoan and that he was a police officer. He went on to become a great movie star," said Joe Ahern, the CEO of the 100 Club of Chicago, a non-profit organization that assists the families of fallen police officers and firefighters in Cook County. Farina's funeral was scheduled for 10 a.m. Tuesday at Assumption Catholic Church, 323 W. Illinois St. His burial will be private. 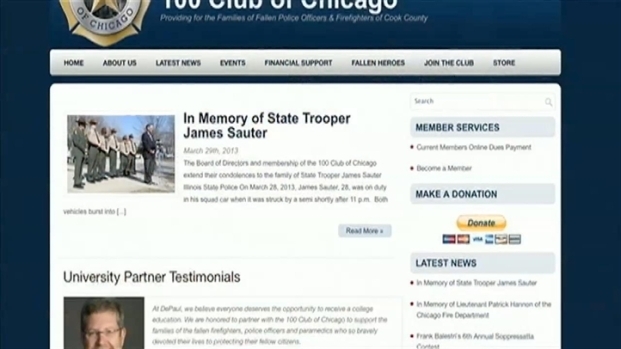 In lieu of flowers, Farina's family asked that memorials be sent to the Police Chaplains Ministry and the 100 Club of Chicago. Farina was born Feb. 29, 1944, in Chicago. For three decades, he was a character actor who displayed remarkable dexterity, charm and, when called for, toughness, making effective use of his craggy face, steel-gray hair, ivory smile and ample mustache. Farina spent two seasons as Detective Joe Fontana on Law & Order and appeared in movies such as Midnight Run, Get Shorty, and Saving Private Ryan. He also starred in the 1980s cult favorite "Crime Story" and was a regular in the 2011-12 HBO drama "Luck." He recently completed shooting a comedy, "Lucky Stiff."